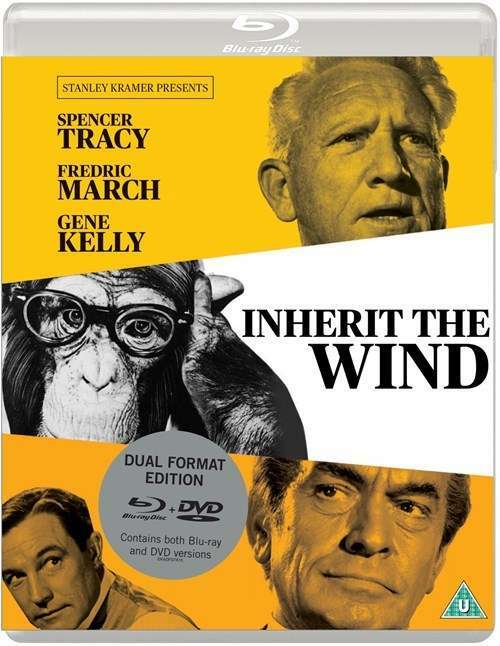 Der Artikel Inherit the Wind (1959) (Blu-ray & DVD) (UK Import) wurde in den Warenkorb gelegt. Described by Steven Spielberg as “one of our great filmmakers, not just for the art and passion he put on screen, but for the impact he has made on the conscience of the world”, the films of producer and director Stanley Kramer (The Defiant Ones, Guess Who’s Coming to Dinner) frequently confronted social issues considered too controversial for the major studios. 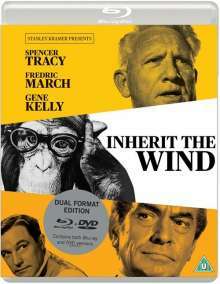 In Inherit the Wind he tackled the creationism vs. evolution debate. When a teacher in a small Tennessee town is brought to trial for teaching Darwinism, attorney Henry Drummond (Spencer Tracy, Bad Day at Black Rock) faces off against fundamentalist leader Matthew Harrison Brady (Frederic March, Dr. Jekyll and Mr. Hyde) in an explosive battle of beliefs.